Vincent Tume offers a Fire and Fury scenario generator program. I can’t test it, because I don’t own a macintosh. But I’d really like someone out there to give it a go and tell me what its like. Ok. This is neat. It’s a Java window that shows how fast one infected individual can destroy a population. The Internet Archive has an interesting collection of historic software games that you can actually run on your modern computers. Of particular interst to me was Karateka, which I played the heck out of back in the day. 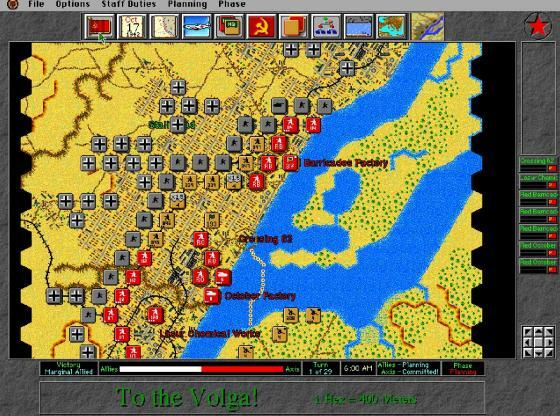 Tigers On The Prowl was HPS’ 1996 computer game of WWII Eastern Front combat. A classic hex and counter game, it is available in an MS-DOS emulator on the Internet Archive. 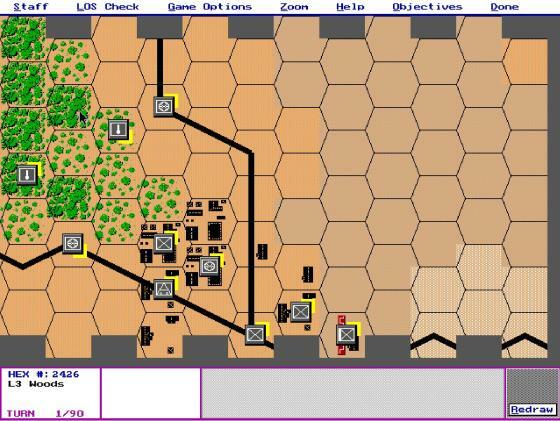 Atomic Games’ World at War Stalingrad is available on the Internet Archives in a DOS Emulator. The game, co branded with Avalon Hill, dates to 1994, and is a classic hex and counter design.